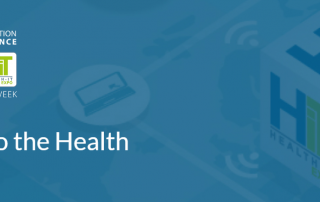 From May 21 to 23, HIT will be held at Paris Expo, France’s leading event for digital health technologies. Taking part in Paris HealthCare Week, this exhibition focuses on innovation, transformation and the future of the health system. 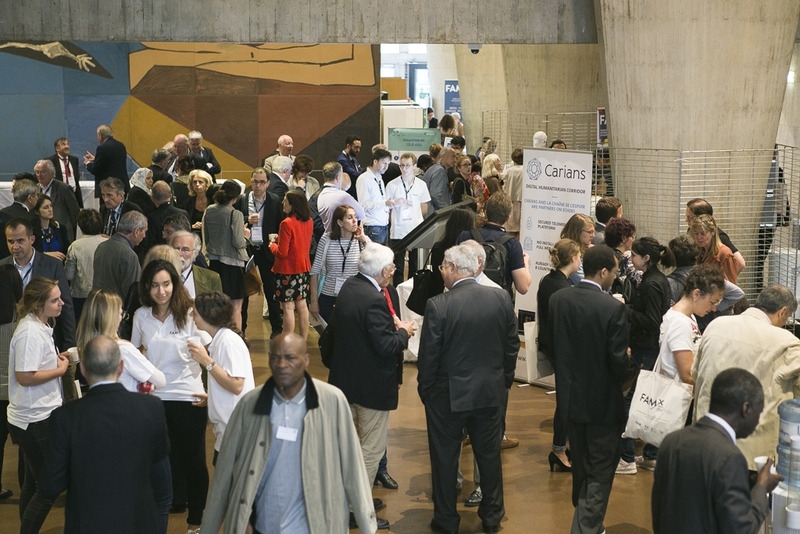 During 3 days, more than 350 exhibitors and 20,000 visitors will meet around stands, workshops and conferences. You will find the entire Nomadeec team HALL 7 – Stand G61 in partnership with the Health Cluster of Nouvelle Aquitaine. 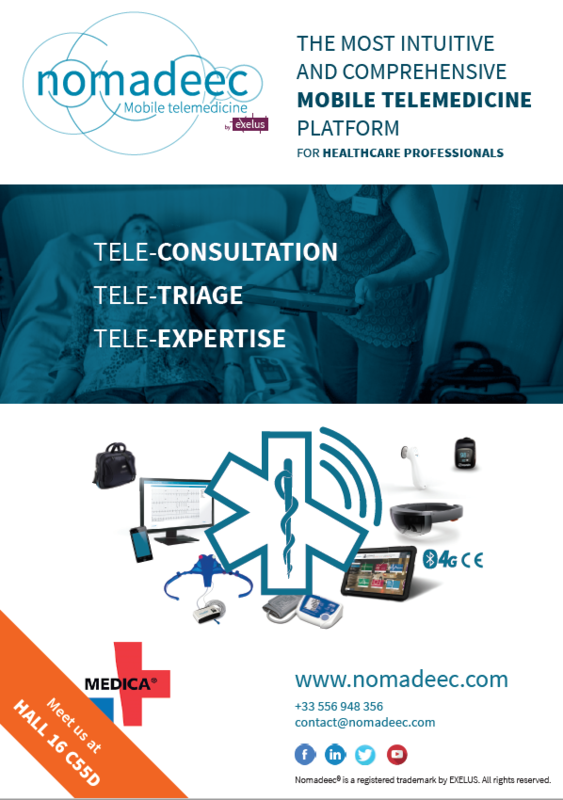 You will discover the latest innovations of the Nomadeec platform in teleconsultation and tele-expertise. More information on HIT 2019. Get my badge for free. 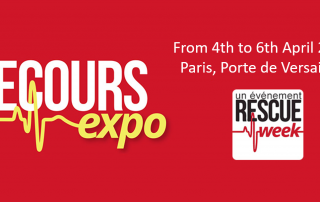 For its 5th edition, the Secours Expo exhibition will take place from April 4 to 6 in Paris, Portes de Versailles, the Nomadeec team will be on stand D 61. Over the years, this exhibition has become the leading event dedicated to emergency relief, emergency care and prevention. Once a year, all these professionals come together around a common cause, protecting and saving lives. Exchanging and informing are the key words during these 3 days of the show. On program, more than 80 workshops, training courses and conferences on various and varied themes. Feedback on the implementation of tele-transmission of digital patient reports to the regulation centers, in several French departments. What are the advantages for the patient, for the territory, for the field workers (paramedics, firefighters, first aiders, health care structures, etc.)? In addition to this workshop, you can meet the Nomadeec team on the exhibition on stand D 61. We will be there to meet you, introduce you to our mobile telemedicine solutions and answer all your questions. The Digital Factory has been organizing the AR/VR Business Day for the past 2 years. 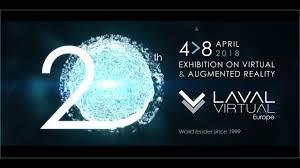 This event is entirely dedicated to immersive augmented reality and virtual reality technologies. Several players in the sector are gathered to present their innovations on concrete use cases, while a jury rewards the solutions that stand out from the crowd. This Thursday, December 13th, the 2nd edition of the AR/VR Business Day took place in Paris. The results have been announced, Nomadeec is very proud to share the Health Innovation Award with our partner HoloForge Interactive. Developed on Microsoft’s HoloLens technology, this telemedicine platform is designed for healthcare professionals in the field. Holograms composed, it can be directed with gestures or voice and thus allow the professional to have his hands free to focus on the patient. The remote connection is made via videoconference and offers the required doctor a global vision of the field and the patient, as if he or she were there. 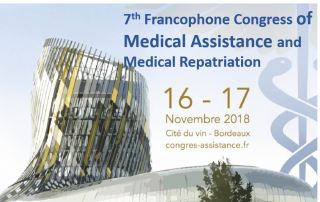 From 16 to 17 November, the 7th Francophone Congress of Medical Assistance and Medical Repatriation is held. The event takes place in the beautiful Cite du Vin in Bordeaux. Always in a quest to improve healthcare, this gathering aims to present technological and scientific innovations for medical assistance. Seven sessions are scheduled with professional workshops on respiratory, cardiac, EMS emergency and many others. You will meet the Nomadeec team on site to exchange and learn more about our mobile telemedicine platform. Complete and intuitive, the solution allows you to create a complete report and transmit it in real time and securely to a remote control centre. More information about the Medical Assistance Congress. Exelus specializes in e-health solutions and is a leader in mobile telemedicine. Our plaform Nomadeec allows a seamless communication between field practitioners and dispatch centers. Our range also covers teleconsultation and tele-expertise. 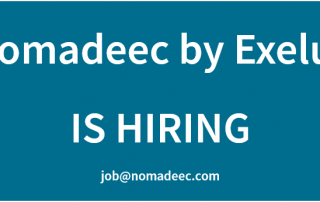 We are looking out for an Export Area Manager (EMEA) to pursue our growth. Fluent English, proficient French, another European language is a plus. 5 to 10 years’ experience in international business development, acquired in Health Saas or medical equipment. Strong adaptability skills as you will join a fast-moving organization. 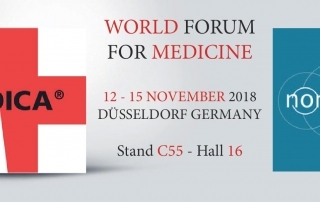 MEDICA, the World Healthcare Forum, will be held in Germany at Düsseldorf, from 15 to 18 November 2018. 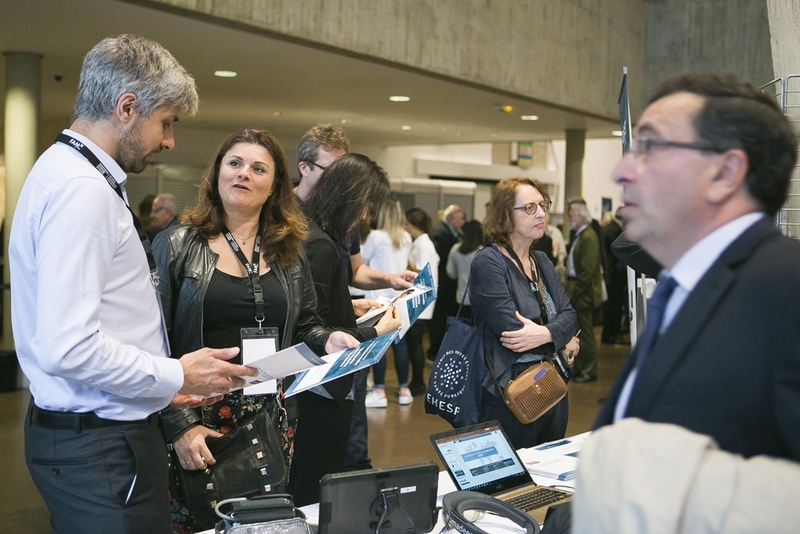 Every year this event brings together healthcare professionals from all over the world, who come to discover the new medical technologies and products reaching the market. For this edition, Nomadeec is present at the exhibition on stand C55D, Hall 16, in the presence of our partner Business France. This is the opportunity to meet you and discuss with you about our Nomadeec solutions in tele-triage, tele-consultation and tele-expertise. We will also present the new generation plateform of HoloLens by Nomadeec (with our partner HoloForge Interactive). Mixing reality and virtual, this technology uses holograms and works by voice and gesture commands. It allows the practitioner to access the vital parameters of the victim or to start a video conference with an expert, while remaining focused on the victim hands free. Our partner AMEDTEC is also participating to the event, you can find them with a set of medical devices in Hall 9, stand C26. go to our MEDICA page. For more information about MEDICA. Meet Nomadeec at Microsoft Experiences 2018 ! 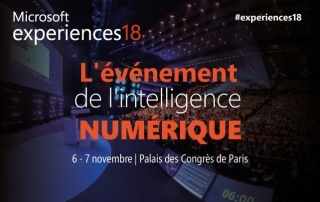 The big meeting for digital intelligence takes place at Microsoft Experiences in Paris, Palais des Congrès, on the 6th and the 7th of November 2018. 2 days of conferences, 10,000 square meters of experiences and more than 300 leaders and experts in digital transformation gathered for a single purpose, to give you an experience. Through a completely immersive path, you will be able to try, experiment, and exchange on new digital intelligence solutions for healthcare and other sectors. Nomadeec will present its new generation of Nomadeec plateform based on HoloLens. The team will be on hand to meet you, talk to you and have you test the latest mixed-reality tools for healthcare professionals. Bouygues Telecom launched the 3rd of July, the first full-scale 5G pilote in Bordeaux! 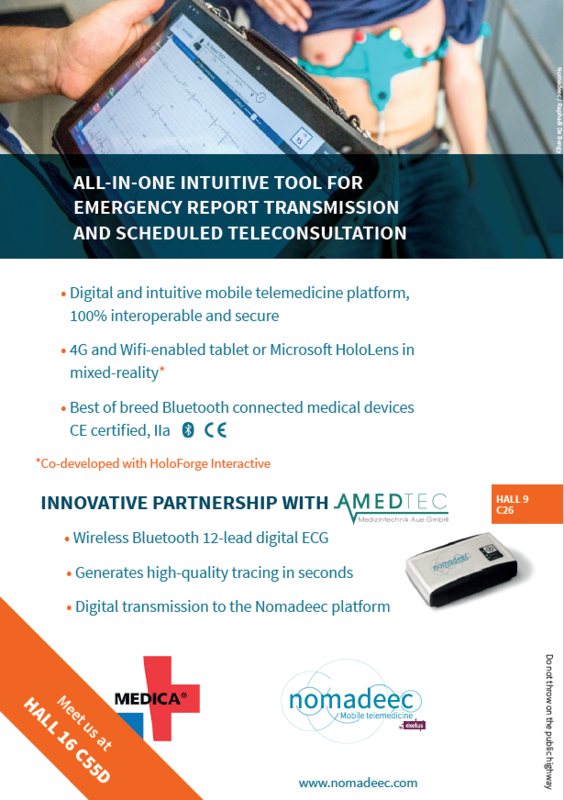 For the launch event, Nomadeec by Exelus was proud to be choosen with 2 other companies, to show a use case of 5G in Mobile Telemedicine. The opportunity to demonstrate using 5G our new platform generation Nomadeec in mixed-reality with HoloLens and our partner HoloForge Interactive. Nomadeec is honored to be part of FAMx Paris 2018 ! 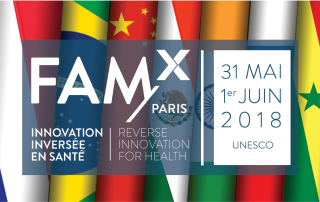 Nomadeec has been selected by Doctor 2.0 & You and the Foundation of Medicine Academy to participate to FAMx Paris in June 2018. Its first international forum about reverse innovation in health, was organised to encourage better access to health for everyone, to avoid medical deserts, to optimise healthcare costs and more globally to explore the job evolution of healthcare professionals. 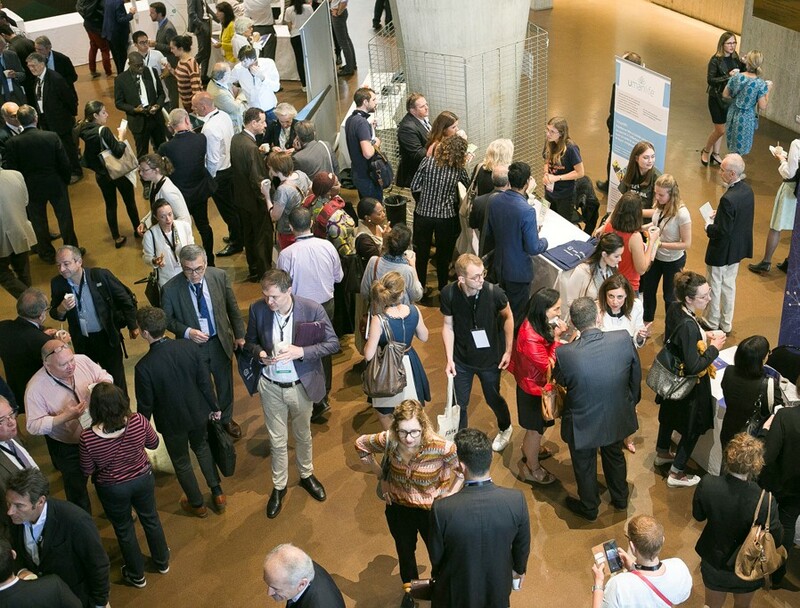 10 start-up, 18 countries, 45 speakers and more than 400 participants were present on this forum gathering healthcare professionals from everywhere. 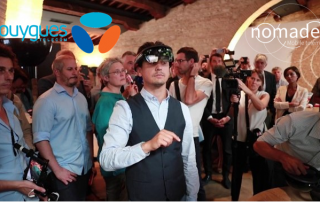 Among the 10 start-up, Nomadeec was delighted to be part of this prestigious event to introduce his new generation platform in mixed reality with HoloLens. This new technology working with gestures and vocal, allows the practicioner to access to the vital parameters of the victim, or to start a video conference with an expert, while staying focus on the victim being hands free. Nomadeec’s CEO, Xavier Maurin, gave a great pitch to talk about all the challenges in Telemedicine that Nomadeec will face in 2018 and years to come. Exelus and Holoforge received the Virtual Award of the best application “Environment & Health” for their work on the Nomadeec Telemedicine mobile application with Hololens. 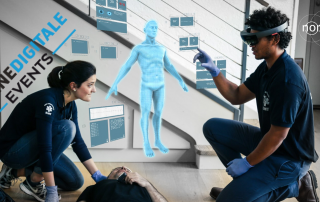 From April the 4th to the 8th, the Future of Telemedicine has been exhibiting via our partner HoloForge Interactive in demonstration at the Laval Virtual (France), the largest European professional event dedicated to virtual and augmented reality. The co-development work between Exelus and Holoforge Interactive, has been rewarded in the category : “Environment & Health”. Awarded by an international panel of experts, the Laval Virtual Awards represent a unique competition by its scale in this field. They certify the high technicality of the awarded realisations and give them a great media coverage. Immersive technologies to improve places of care. Hospital, clinic, nursing homes, so many places that send us back to sensations of stress and discomfort. Is it possible to change this feeling thanks to immersive technologies? How to prepare “virtually” a stay in a place of care? How to reduce the anxiety of future patients? What links can we imagine with the house or the school? This round table will allow you to understand how immersive technologies can transform places of care.